Scary, Isn’t it? And, Very Much Up To Date Is It Not? Thank you for comprehensive information I can share to alert people as the time is getting very late, if not too late. America is headed for disaster becuase of these people, maybe get us nuked in fact. This is a messenger killing nation who never fear to kill innocent and good people of society. Love with the money you will find them highest levels by any other nation. The Torah, Bible, Quran - all God’s books uncover the dirty habit and crimes of Jews. Now all world’s people are realizing this truth that Hitler targeted the correct community of the world to clear Europe and God’s land from these money-suckers and war-lover nation and make the world more peaceful. If you look on the back of certain books, you’ll see a triangle and/or the three letters EAN. If you look it up, EAN stands for European Article Numbering, but in reality, if you make the connection from book to book, you’ll know that these symbols are only on the back of books written or translated by Jews. It also talks about highly “initiated” members of society who know of ancients secrets, carrying it forward in time until they are ready to declare themselves. 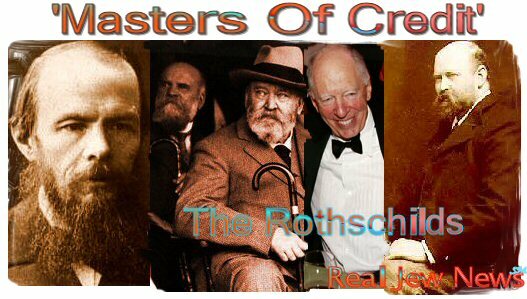 Freemasons and Jews are in cahoots to establish a NWO. In the God Effect by Brian Clegg, a Jew, he uses a code word “DADDY” in reference to Sylvia Plath’s poem about the Jews in concentration camps. From book to book, you can decode this message and figure out what they are planning. I just hope these camps are for the Jews, not the rest of us. Dostoievski is simply the best novel writer EVER. His works, in my opinion, supress Shakespeare by far, and we can be sure that he in fact EXISTED ( not the same with William - some say that he is an invention and those works were written by Francis Bacon ). 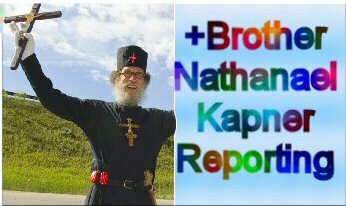 THANK GOD FOR BROTHER NATHANAEL KAPNER…. He Has KEEN MIND Into The Thinking Of The ‘Sneaky’ Bolshevik Zionist And Marxist! Everything you have wrote is basically true. What the Jew has done is to make what is truth into their own perversion of the word, such as the Messiah will return to Jerusalem, but not their so-called monster. Instead the true Messiah in Christ Jesus will come with a sword in hand and destroy Satan’s children known as the Babylon of America, sad to say….. I appreciate Brother Nathanael’s efforts. I only became aware of Jewish deception after having been personally deceived and financially ruined by a Jew in a business deal. I made it a personal quest to understand how someone so “religious,” who spoke of G-d, following the Talmud, and observing the Sabbath could have been so destructive, only to feel foolish for not having been aware of the truth behind the Jewish self-professed divinity. In addition to advocating the destruction and murder of white gentiles, advocating relegating us to the status of “Nazis” and “pariahs” in our own society, after we had the goodness to take them into our country, with Jews having been banished throughout the world….they are now advocating building Section 8 housing in lily white gentile communities — ensuring that white Christians will have no place to call their own. 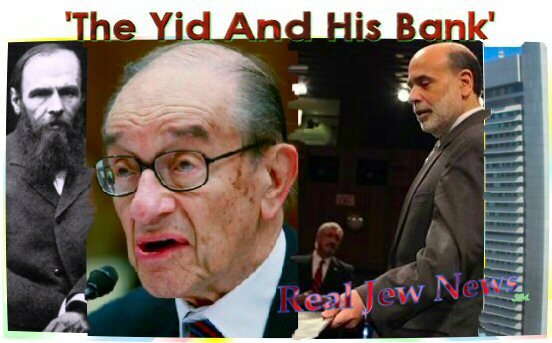 Jews are bringing in terrorists, minorities from third world countries of all distinctions, whom white gentiles have to subsidize with their taxes, making in difficult for them to own their own homes or accumulate wealth anymore….Most of these third wordlers hate Americans and are indoctrinated to hate whites. Many are violent. Anyone see pogroms coming — along the lines of the tens of millions who were killed under Soviet Union and Communist China? Jews are plotting the murder of the last remaining white Christians who are already killing themselves out of despair in record numbers and have seen their own race decimated before their eyes.